I really love cooked breakfasts. In an effort to get just a few more minutes of sleep, or because of a lack of planning the night before, or possibly because there’s just nothing in my closet that I want to wear, morning seems to be the most rushed time of my day during the week. Because of this, sometimes I get up extra early on a weekend day so that I can lounge around, sip coffee, and take my time getting ready before I need to be somewhere. And on those particular days, cooking breakfasts is one thing that makes me a very happy girl. I don’t do it every weekend, but there are certain times when cooked breakfasts are necessary. Christmas morning I love to make a coffee cake to eat while we are opening gifts. Something about the warmth from the oven and the smell of cinnamon, blueberries, and butter speaks comfort and love on such a glorious morning. On Easter it’s a sausage, egg, green chilies and mushroom quiche that makes my mouth water just thinking about it. Birthdays in our home mean crepes! Aaron likes his with egg, ham or bacon, and cheese, while I stick to the sweet ones. Shocking I know. I like mine with nutella and strawberries or bananas. Mornings at the lake we make pancakes or waffles with whatever fresh fruit our lovely host Denice picked up at EZ Orchards. Or we might possibly cook up some scrambled eggs topped with cheese, bacon and fried potatoes. If we’re feeling really adventurous we make omelets with fresh tomatoes, mushrooms and avocado, Havarti cheese and either bacon or sausage. There’s nothing better than starting your day off with a meal like one of these! Anybody else love cooked breakfasts and long lazy mornings? Breakfasts menus can be fairly limited, so I’m always on the hunt for new recipes to try that would work well for this meal. When I saw this one I knew immediately that it was going to be a keeper. So pretty and full of flavor! 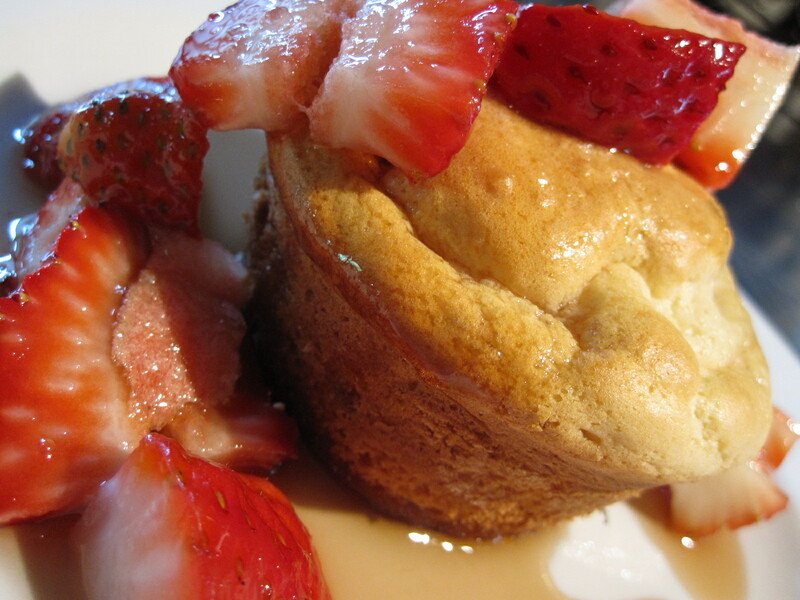 Next time you feel like starting your day off with a little love of food, try this one out! With an offset spatula, pop the muffins out of the cups and arrange on a platter. 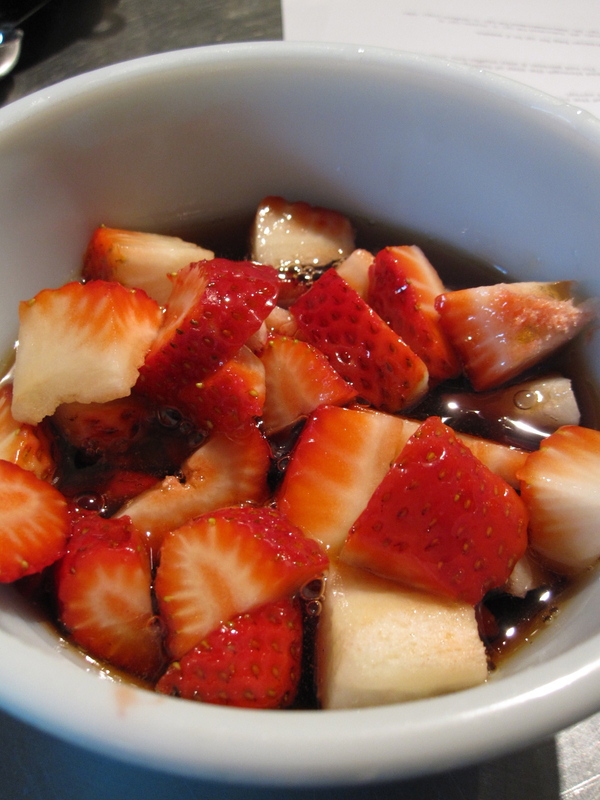 Sprinkle with confectioners’ sugar and serve with the syrup. Shauna, dear friend of mine…you’re going to want to try these! What I hated about these pancakes disguised as muffins: They were a little difficult to get out of the pan, so a few of my tops split. Aaron and I have spent the last 2 days traveling to the gigantic state of Texas, and it is hotter than blazes here. All of my fellow Oregonians, I am happy to report that it is actually summer in our great country! This past week has been a whirlwind of emotions for us. An up one day, down the next situation. A shimmer of hope to a cloud of discouragement…landing on a blessing straight from Jesus. So hot or not, we’re welcoming the break from real life, and going to enjoy the next six days of family, traveling, good food, swimming, and relaxation. I obsess over all things doughnut. Add some sprinkles on top, and I’m convinced a doughnut can make the whole world seem right. I feel so strongly about the comforting power of a doughnut, that I searched high and low for a gluten-free recipe to try…and found one! Stay tuned because they are absolutely on this 30 day challenge! These cinnamon and sugar sprinkled delights were a joy to make–easy, good, and pretty. ♥ I wish life could be described with those three words. That working hard always meant coming out on top. That wanting something enough wouldn’t allow it to ever leave you. That caring and being there for others would mean you’d never have to go through your own heartache. That nothing uncertain would ever happen…but when it did, there was always something certain to take its place. That life would never look ugly or broken. But what I’m learning more and more is that there is beauty in the pain. There’s beauty in the waiting. There’s beauty in the healing. There’s beauty in the uncertain. And there’s beauty in the loss. Some days it’s hard to find…and those are the days, if I choose to let it, it seems to find it’s way to me. Thankful. 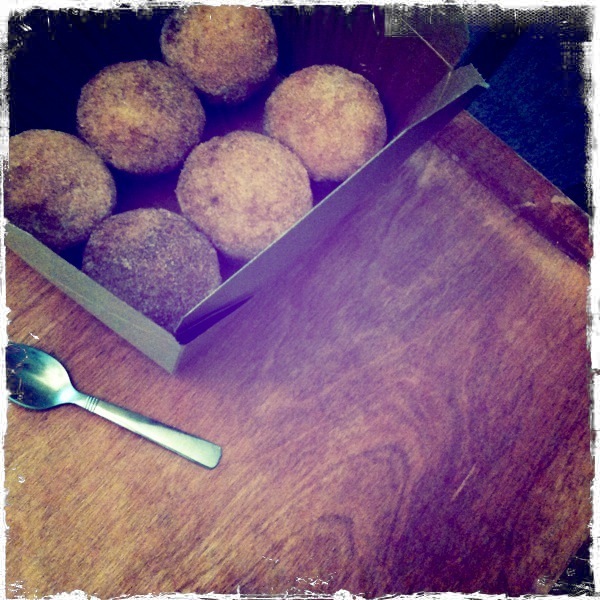 I brought these pretty muffins to my dear friend, Mekenzie, who shares my deep love for doughnuts. I love her so! Put a rack in the middle of the oven and heat the oven to 350°F. In a stand mixer or a large bowl, cream the butter and sugar. Beat in the eggs, one at a time, until just mixed in. Sift together the flour, baking powder, baking soda, salt, and nutmeg. Combine the milk and buttermilk. With a wooden spoon, mix a quarter of the dry ingredients into the butter mixture. Then mix in a third of the milk mixture. Continue mixing in the remaining dry and wet ingredients alternately, ending with the dry. Mix until well combined and smooth, but don’t overmix. Grease and flour a standard-size muffin tin. Scoop enough batter into each tin so that the top of the batter is even with the rim of the cup, about 1/2 cup. (A #16 ice-cream scoop gives you the perfect amount.) 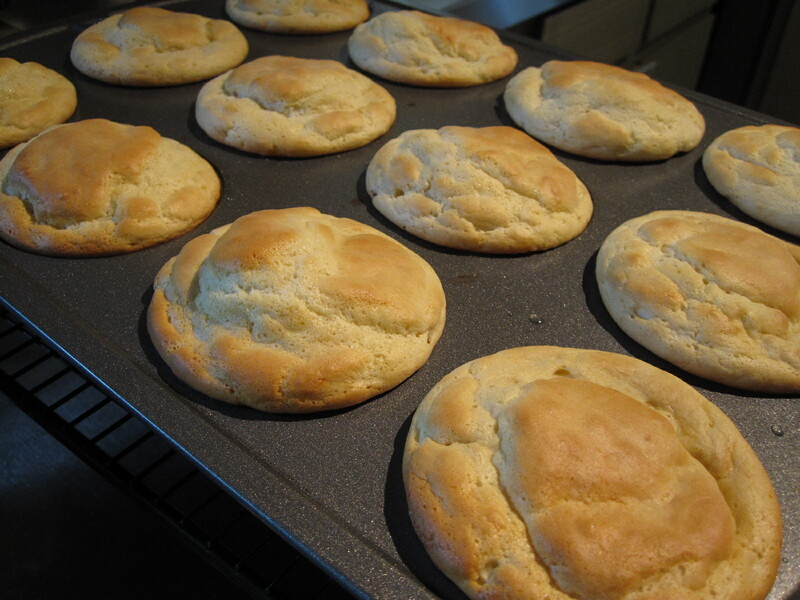 Bake the muffins until firm to the touch, 30 to 35 min. Make ahead tip: You don’t have to bake all the muffins right away; the batter will keep covered and chilled, for up to 3 days in the refrigerator. 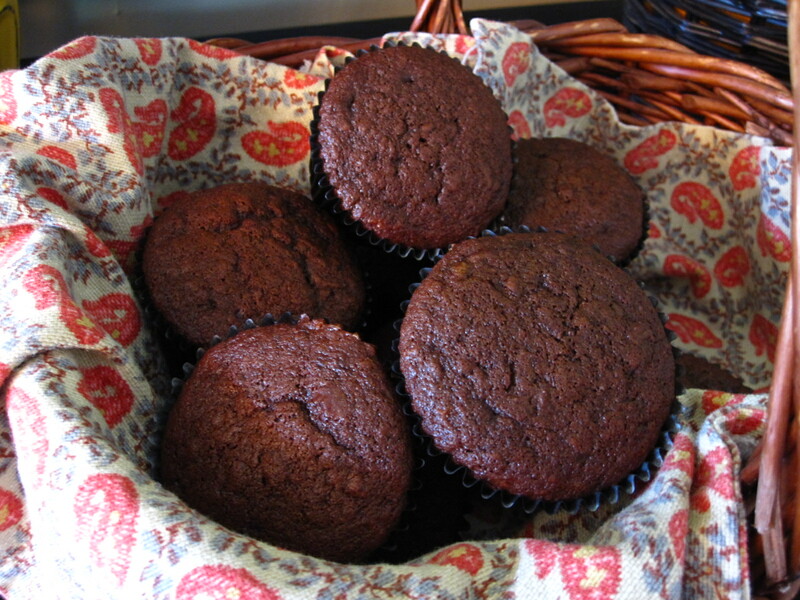 What I love about these heavenly smelling muffins: After you dip them in the sugar and cinnamon mixture they sparkle! So pretty, so yummy, so, so good! What I hate about these heavenly smelling muffins: The words hate and doughnut should never be in the same sentence…except for this one.